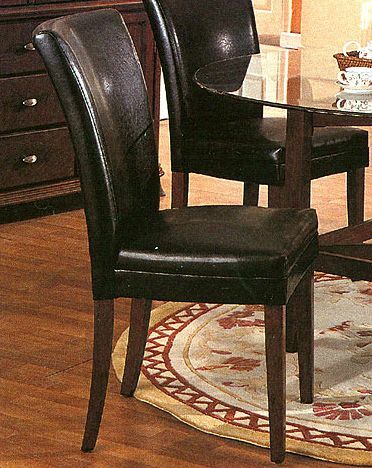 This updated dining room collection is combination of clean styling and gentle curves. Made of Birch solids and veneers. Parson chair in black or brown leatherette.